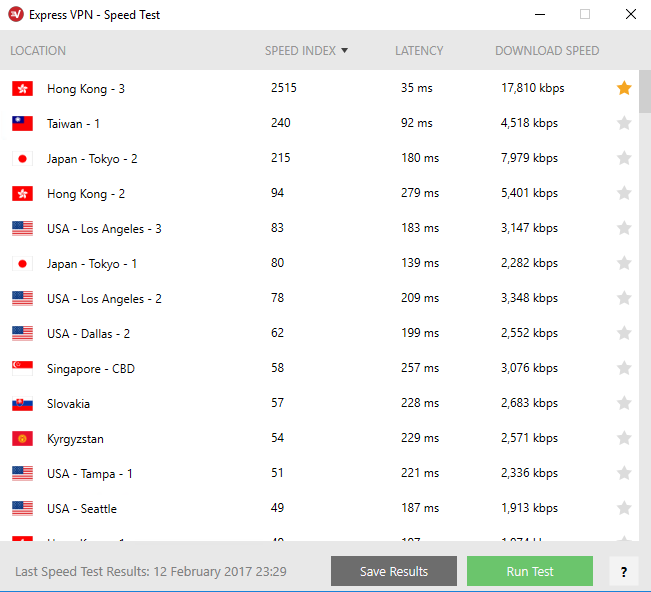 ExpressVPN is very popular in China for good reasons. In all our testing from China, it performed very well and we were able to stay connected for hours without hiccups. 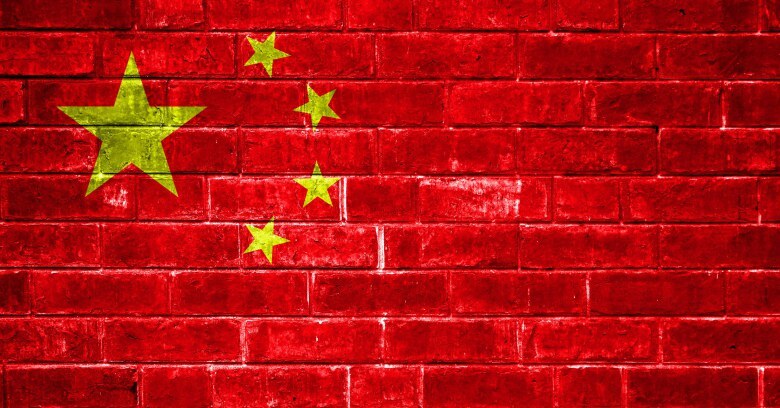 It’s no secret that China has a very strict internet censorship policy, and it doesn’t look like it is going to change anytime soon. In fact, things have been getting worse in the past years and most VPN services are blocked or very unstable when used in China. There are several issues with the ISPs that lead to slow internet connection and controlled content, aspects that are driving more and more people towards looking to use a VPN service in China. The ISP monopoly held by the state-owned ISPs China Telecom, China Unicom and China Mobile is really what’s causing all the issues and we’ll explain how. First of all, high peering costs that these ISPs impose on international partners lead to low bandwidth and create some very impractical routes. Just as an example, since internet peering and transit costs to China are very high, a lot of the VPN companies out there will have no direct routes to the Chinese ISPs. The connection has to be routed all the way over the Pacific and then back to one of China’s neighbors due to the lack of direct peering, drastically impacting the bandwidth. The Chinese ISPs are also known to manipulate bandwidth and throttle connection speeds which basically means limiting a certain connection when it causes a lot of traffic. The term “a lot” however is very poorly interpreted. The low bandwidth has a huge economical impact on a lot of companies in China, and the Chinese ISPs are exploiting this fact, leaving companies with no other choice but to pay more for improved services. It is estimated that around 49% of the 1.357 billion people in China are active internet users. Add a multitude of devices (which is very common even in the most basic of users) and you have yourself an immense congestion, especially during the peak hours such as the evening. This congestion occurs for both international and local connectivity. Practices such as DNS censorship, IP address blocking and protocol blocking are the main ways that content access is being blocked. DNS censorship basically resolves blocked hostnames into non-relevant IP addresses instead of the real ones. For example, if one wants to access facebook.com from China, the IP address of facebook.com will resolve to some random IP in Mexico instead of actual Facebook Inc’s IP in USA. IP blocking impairs you form accessing a website by using the IP address instead of the DNS name, and it is another method used to censor particular services. Protocol blocking is a bit trickier. 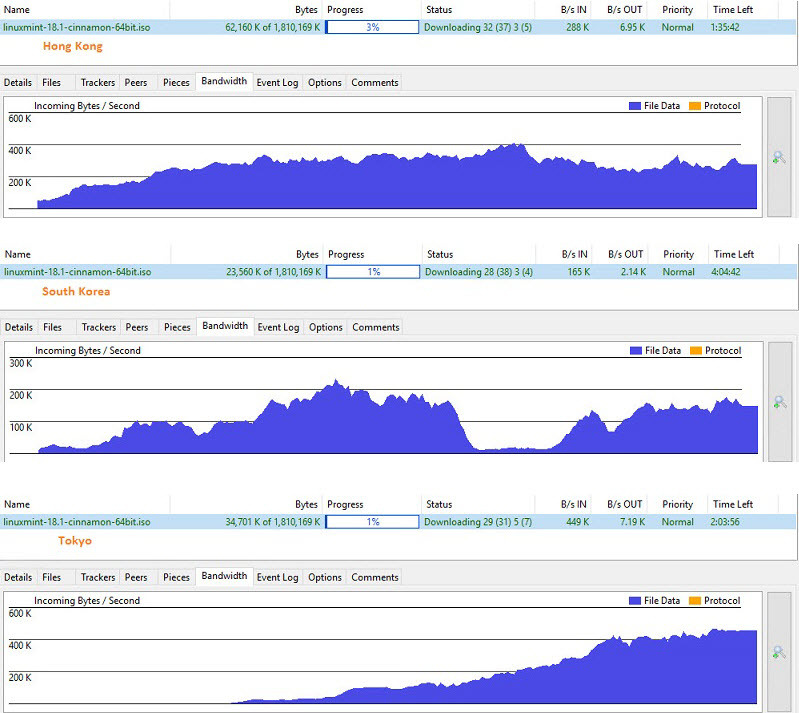 The Great Firewall is using a method called DPI (Deep Packet Inspection) to analyze all inbound and outbound traffic in real-time. This method can identify and block most types of VPN tunneling protocols. OpenVPN for example can only be used if it has some method of disguising the connection. For someone living in a country where censorship is not applied as strictly, not having access to some services such as Google, Gmail, YouTube, Facebook or Netflix is not a conceivable notion. In China, such services are not available, and these are just a few of the more know and used services. Western news sites such as The New York Times are also blocked and the line between managed infrastructure and controlled information is thinning rapidly. You can find more detailed information in out article related to China’s Great Firewall which will help you better understand the gravity of the situation. Another resource we recommend is CNBC’s article which explains China’s efforts to double-up the VPN regulation, also defining the political context. One of the more prolific VPN services that has some decent results in China is ExpressVPN. This specific service has been performing well for a long time and customers (Chinese and expats, travelers in China) have been returning for their VPN needs. We would like to take this opportunity and briefly discuss the technical details and the functionality of the service. ExpressVPN offers over 100 servers in 130 locations, 87 countries and allows up to three simultaneous connections. Many of these connections are optimized to connect from China, giving the connection good latency and speed. 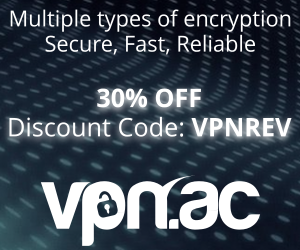 They support multiple protocols such as OpenVPN, L2TP/IPsec, SSTP and PPTP. There is a good number of accepted payment methods including Chinese Alipay and Unionpay. Also notable is the fact that there is a 30 day money-back guarantee which should give you more than enough time to decide whether the service will be suitable for your needs. ExpressVPN offers proprietary software for all major operating systems including mobile platforms and they also support routers. We appreciate the fact that the software can easily be identified and learned regardless of the platforms you choose. The encryption used with OpenVPN is AES-CBC 256-bit for data. We would also like to mention that ExpressVPN uses an RSA certificate corresponding to a key with 4096-bits of length and SHA-512 for the hash function. We recommend reading our full ExpressVPN review, which will give you a much more in-depth description of the service. It presents its strong and weak points, and will help you understand the dynamic of the service. As expected, there is a noticeable difference between the speed results during busy and non busy hours. Yet in both cases they were over 2 Mbps, averaging around 5 Mbps during peak hours, which may seem low if you compare it to average speed in western countries but it enough for browsing and streaming. The browsing speed test results were good, and even though there were hick-ups here and there, overall there aren’t too many complaints from our end. The browsing experience was decent, streaming services worked surprisingly well and there were no interruptions. In the ping test result above you can see that out of 3000 ping packets transmitted over the VPN connection, not even one timed out. This means that the connection was stable, not suffering from intermittent packet drops which are very common in China. 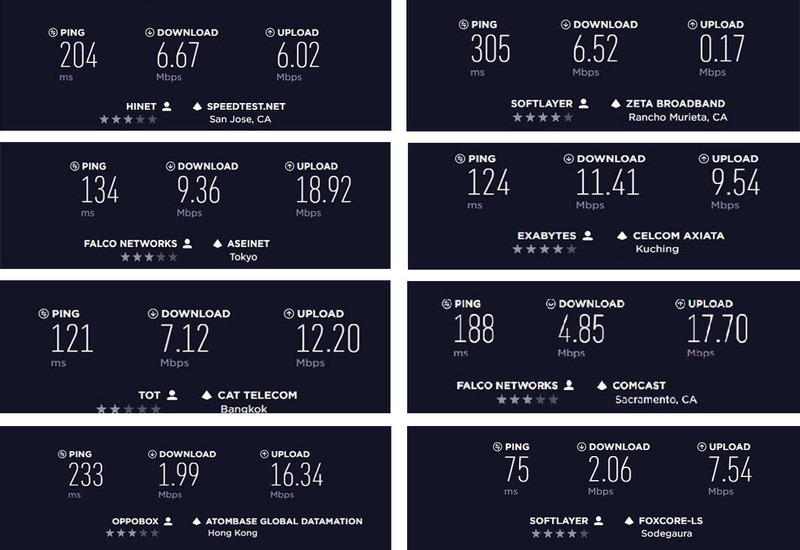 The speed tests were ran over several days in different periods of the day and considering the highly-congested bandwidth that China has during the evening we were expecting a higher discrepancy. You can see the timestamp of each speed test at the bottom of the screenshots. Oddly, the results were very similar regardless of the time of the day when the tests were ran. 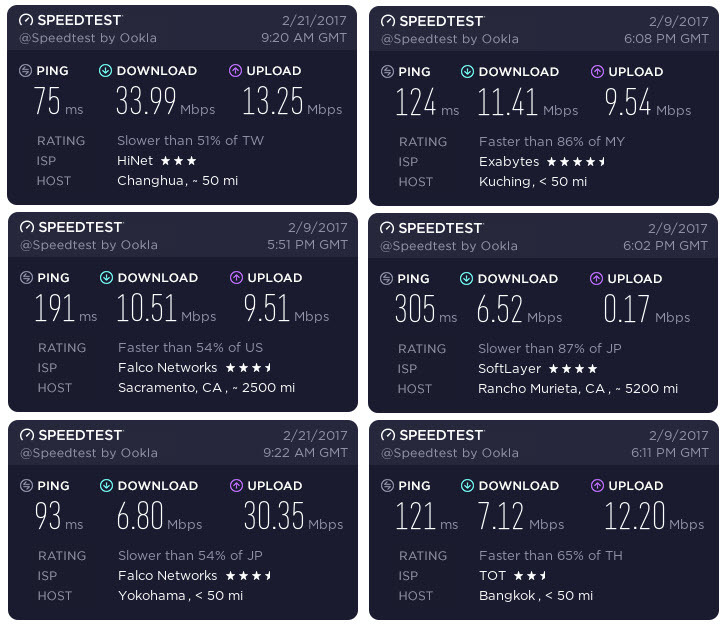 This compelled us to run speed tests via speedtest.net while connected to the VPN to some of the fastests servers and we found that results were quite similar. 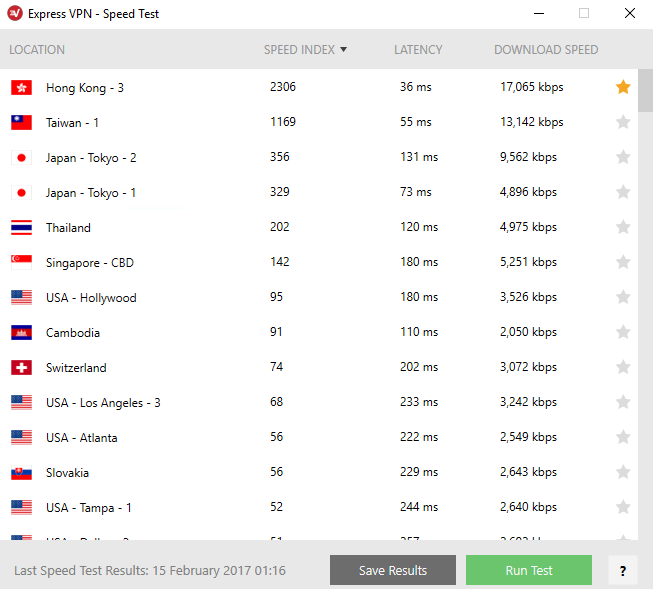 The fastest ExpressVPN locations to use in China are (in our experience): Hong Kong 3 which we had the best result with, followed by Taiwan and Japan. The Los Angeles locations are also good and the speed was sufficient to ensure a smooth experience with the common US based streaming services. In conclusion, we were more than satisfied with the service that ExpressVPN offers for customers in China, the reliability and the performance, the diversity and applicability in daily tasks. It may not seem like a lot, but having a stable internet access is a luxury that many Chinese people are still looking for. 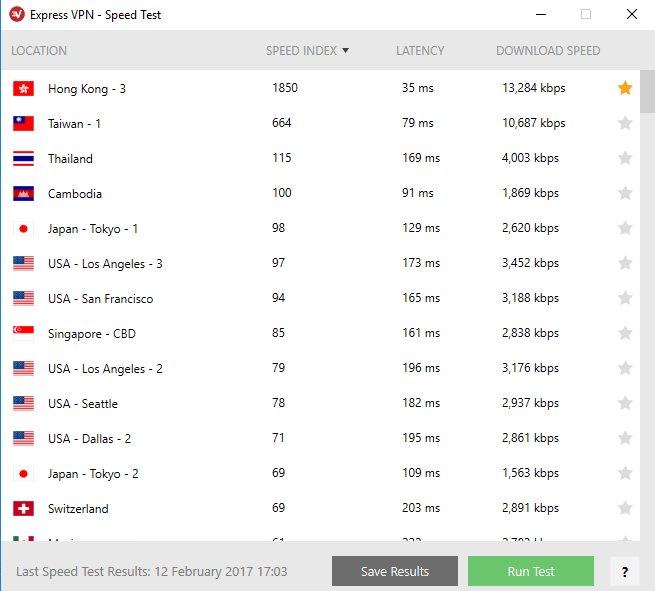 ExpressVPN’s service was stable and performance-wise it is very decent taking into consideration all the restrictions the users in China are facing. 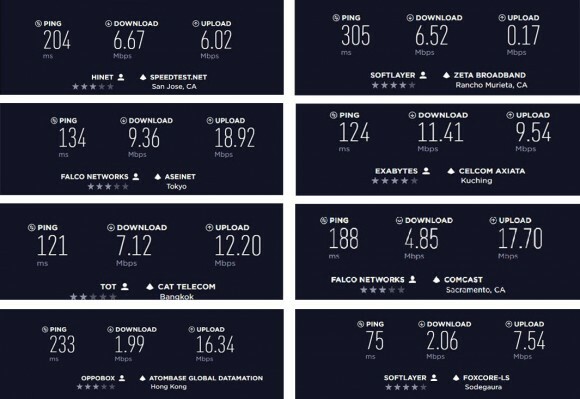 Speed test results will differ from user to user due mainly to the regional bandwidth congestion and the connection speed available to each individual. We mention this due to the discrepancies recorded in some of our own tests but this should not be seen as a discouraging aspect, as the overall performance is above expectations when it comes to connections in China. 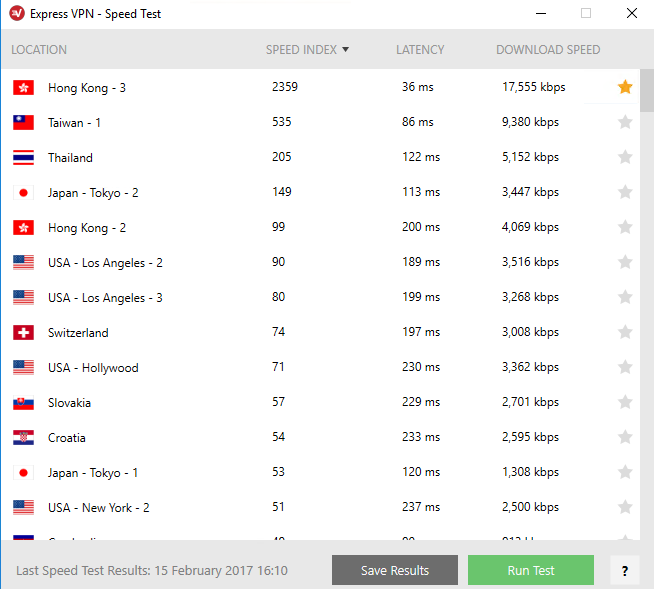 I can confirm that ExpressVPN is working very well in China. Malaysia and Hong Kong are my fastest server choices (I live in the South). expressvpn does not clearly claim that they implement something to screw through the ban of common protocol means. I do not understand why so many websites recommend it.